Get ready for full masti time and diwali shopping and yummy Desi food!! 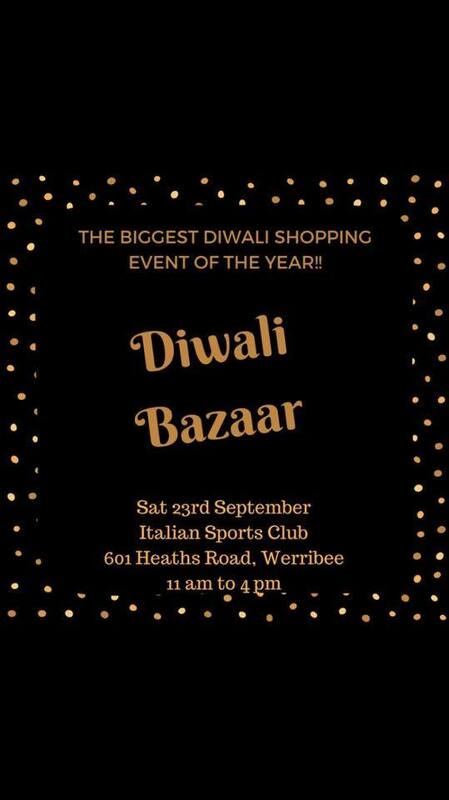 Come celebrate the festive season with us at the Diwali Bazaar. 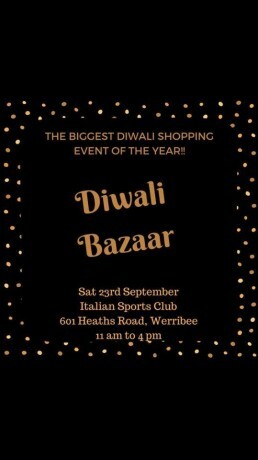 FREE invitation to everyone to get together with family and friends to participate in the Diwali Bazaar. Biggest Diwali shopping event of Wyndham! Over 40 stalls of designer clothes, jewellery & accessories plus gift hampers and decorations & amazing food! We are now on Instagram! Check us out at @Diwalibazaar17!